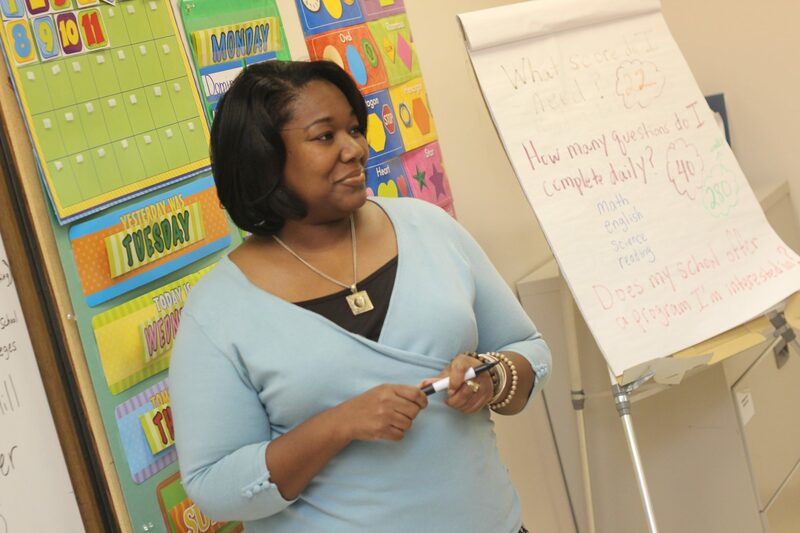 Substitute teaching is a rewarding and flexible way to develop your career on your terms. 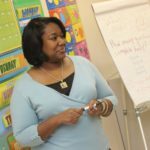 Whether you have recently earned your degree, are entering the workforce after time off, or are ready for a change from a decades-long career, substitute teaching may be a natural next step for you! 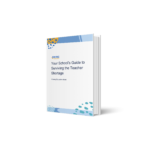 In this complete guide to becoming a substitute teacher in New Jersey, you’ll find information on subbing requirements and how to get started in classrooms near you. How do you get a New Jersey substitute certificate? 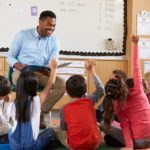 If you don’t already have an educator credential in New Jersey (as a teacher, administrator, or in educational services), you can apply for a substitute-specific credential. One of the first things you’ll want to know is that Swing Education serves as sponsor organization, which will help you get on your way faster to substitute teaching in New Jersey! Now, there two types of substitute teaching certificates in New Jersey. Let’s lay out what they are and how to get them. The application will ask you to provide personal, employment, and educational information. You’ll also provide an official transcript from your college or university that shows you’ve completed at least 60 semester-hour credits (for the substitute credential). Note: Within both standard and CTE substitute positions, there are different time limits for how long you can work in a district. A standard substitute can serve for no more than 20 instructional days in the same class unless approved by the Executive County Superintendent. In that case, a 20-day extension may be approved. A CTE Substitute can serve for up to 40 instructional days. Here’s a full guide of service day limits by credentials. How do you go through a criminal background check? As a part of your permit application, you’ll need to go through a criminal background check. Out of consideration for student safety, this applies to all teachers in public schools, private schools for students with disabilities, charter schools, and nonpublic schools. To complete the check, the State of New Jersey’s Criminal History Review Unit (CHRU) works with the New Jersey State Police (NJSP) and the Federal Bureau of Investigation (FBI). The process includes investigating criminal history and any previous complaints from school districts. You’ll need to start your criminal history clearance by seeking a sponsor organization, such as Swing Education. Depending on your history of employment in New Jersey, you may qualify for one of two types of applications: a new applicant or an archive applicant. Finally, you’ll Schedule a fingerprinting appointment with MorphoTrust. Be sure to bring a photo ID to your appointment. In approximately two weeks, you’ll be able to view your Applicant Approval Employment History through the Criminal History Review Unit’s website. *Note: Swing reimburses all its subs for all costs associated with getting permitted, background checks, and fingerprinting. 2. If you have been fingerprinted and approved by Criminal History Review since 2003 and are changing school districts, you’re an archive applicant. A notarized oath of allegiance form. This form has questions regarding your criminal history and any prior misconduct as a teacher. Be thorough — it’s best to disclose anything you think might be a flag, even if it seems minor to you. Sealed college transcripts proving at least 60 hours of college credit (substitute credential) OR signed letter from employer documenting work experience (CTE substitute credential). Your approved criminal history status check. Complete these steps, and you’ll be in the classroom in no time! Here’s how you can get started today. As the Director of Talent at Swing Education, Alex works to give our substitute teachers the tools and support they need to succeed. Before joining Swing, Alex spent more than five years working for a nationwide network of high-performing elementary schools. I have been a part time classroom aid for 3 years. I have 1 year of college from 1988. Is there any way I can obtain a substitute certificate? I hope that helps — let me know if I can answer any other questions. I have a BA and am looking to apply for substitute certification in NJ. I read all the requirements and just want to make sure I have everything I need. A friend recently told meshe needed a letter from a school principal? This was for NJ. Just to be clear…all I need is my college transcript, notarized oath, background check, fingerprinting and application? Also I signed up with swing but it was full to capacity. Any idea when more space may open up to be sponsored by Swing? As far as subbing with Swing, I’d recommend contacting our New Jersey team (talentNJ@swingeducation.com) directly (please include the region in NJ where you would like to sub and use the same email address that you signed up with), and they’ll be able to provide next steps. Hello I have 59 credits. Is it okay to apply for subtitute teacher. As far as next steps, we’d recommend contacting the appropriate county office and letting them know that we (Swing) haven’t received your information and double checking on guidance for what to do next. Also feel free to reach out to our New Jersey team directly (talentnj@swingeducation.com), and they’ll be able to assist/answer any further questions. I have a NJ school counselor certificate. Do I need to apply for a substitute certificate in order to sub? To help me better answer your question, can you let me know what county you’d be looking to sub in? I have a Certificate of Eligibility in Comprehensive Business. Do I still need a substitute certificate to apply? Can you provide the county you’re looking to apply to sub in? That will help me address your question.